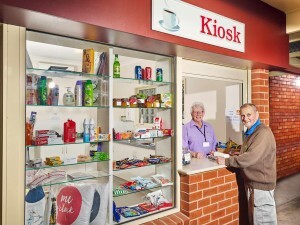 Cooinda is Benalla largest provider of residential aged care. 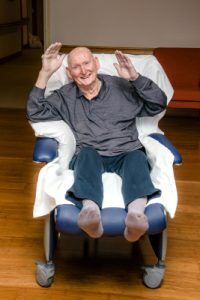 Our 82 bed residential care permanent accommodation is designed to suit a range of care needs as individual as you. We recognise each person as an individual. By listening to your choices, we plan and deliver a holistic care plan. This ensures you enjoy social, emotional and personal wellbeing while at Cooinda. We understand when moving into residential care you may feel a loss of independence. To help with this, we encourage families to decorate your room with favourite and familiar items. By doing this, you will feel more at home in your new surroundings. We have traditional or modern, contemporary rooms. Each features its own ensuite and garden views. Our recently opened 25 bed wing was built in consultation with Dementia Design specialists. As a result, it offers a warm, friendly, homely atmosphere. Furthermore, it has the most up to date care facilities and services. Find out about our rewarding care services, including dementia specific care here. Contact us today to book your Cooinda tour. In addition, we respect the right to lifelong sexual well being and safety. As a result, when entering Cooinda, we hold an open conversation with families if they choose to do so. You’re welcome to discuss this with our trained staff. Two of our registered nurses recently attended an Influenza Conference in Melbourne. The Conference was run to educate the Aged Care Sector regarding flu and immunisation stemming from the Flu Pandemic in 2017, which was the worst flu season since 2009 and resulted in many deaths. It is important for whole families to be immunised, which creates what is termed ‘herd immunity’. As well as residents and staff being immunised it is important for all visitors coming into aged care communities to be vaccinated, including children – this immunisation reduces the risk of community outbreaks. Now is the ideal time to be vaccinated in preparation for the flu peak season being in August / September. At Cooinda we will be undertaking a drive to encourage all residents and staff to be vaccinated to protect the safety of all in the community.